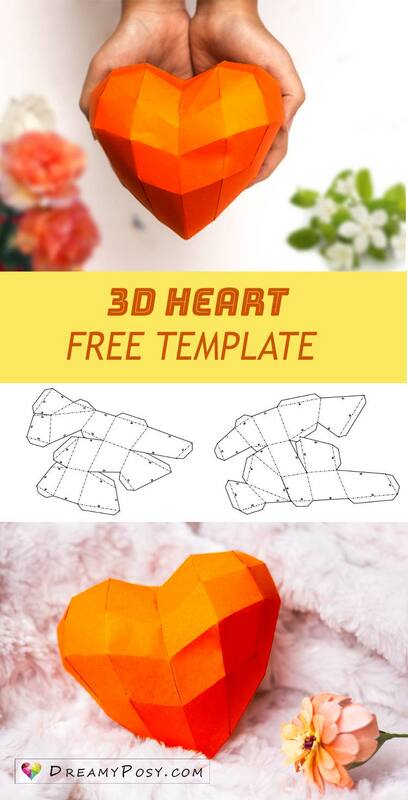 How to make a paper heart, a real 3D paper heart, a paper 3D heart, an origami heart. 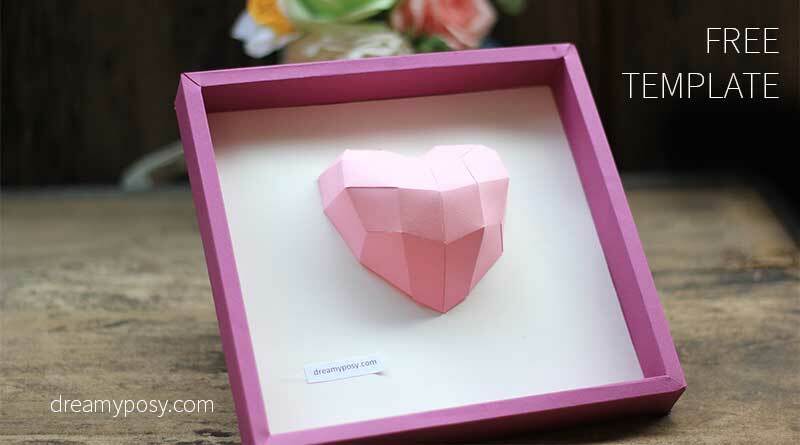 How to make a 3D heart out of paper step by step. 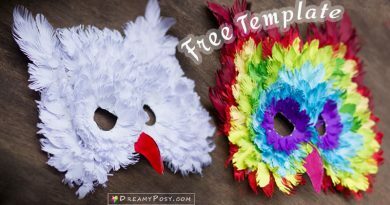 Really simple craft tutorial with my free template. It’s so easy to make your own paper heart, from very simple materials. All you need is some paper, scissors, and glue. 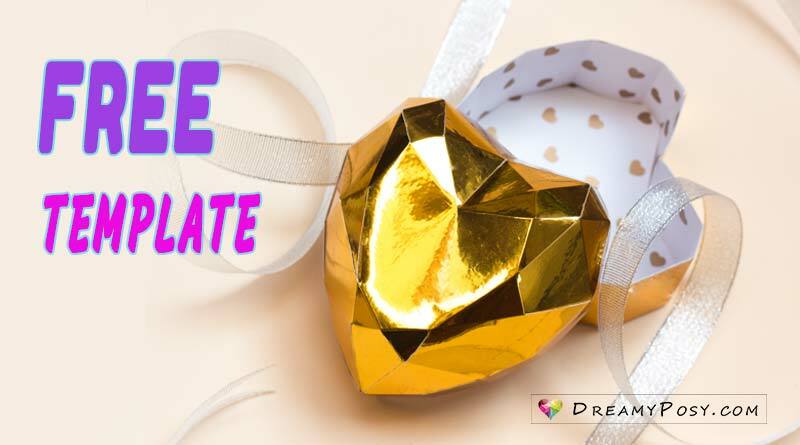 This paper heart is a cuddle and unique DIY decor or gift for your besties. 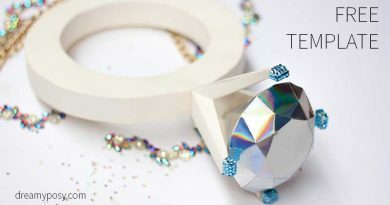 Grab the cardstock, quick dry glue, and scissors. 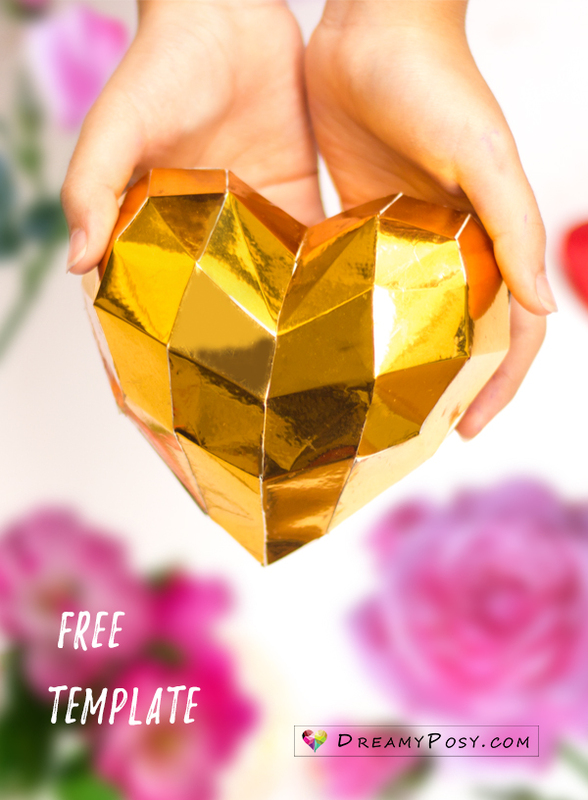 You could use various kinds of cardstock: glitter, gloss gold… You could make your giant heart model from this template, too, just use much heavier paper (cardboard). 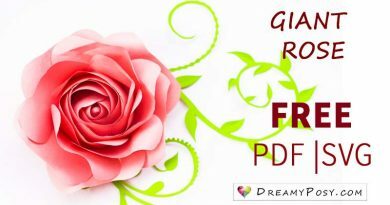 Download and print the free templates on the A5 size cardstock, from 160gsm to 220gsm. You could print it on the larger size of paper. Use a syringe to glue the tabs which have the same number ID together, to form the 3D heart shape. White glue works well on normal cardstock, but UHU glue is used for glitter/gloss cardstock. You could leave 1 tab unglued to open and put a piece of paper of your love message in the heart model. By changing your size, paper texture, paper color, embellishments and whatever you could think of, you would have your own style heart. A needle or a syringe will help you glue neatly. DreamyPosy.com’s template. 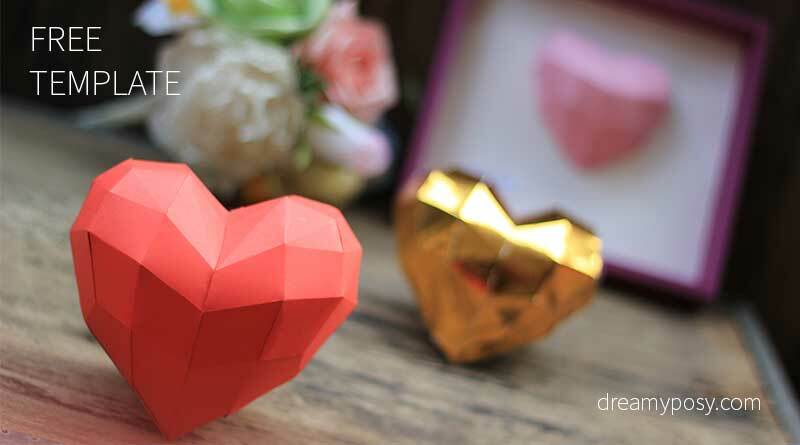 Please remember that I printed A5 paper size to make these 3D paper hearts. We provide completely free templates and tutorials on this blog, and work hard to earn our living from the advertisements you see on each page. Hi I wanted to buy some templates and i was trying to download the template but it wasn’t working for me =( i wanted the full heart and half heart template and the lace rose but when i click the link windows keep on opening. please help … thank you you art is BEAUTIFUL!!! Hi Yadira, thank you for let me know the issue. I’ve just checked the little pink template link at the end of the material list and it’s still fine. 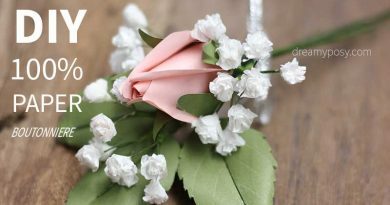 And pls go directly to my shop https://templates.dreamyposy.com/ to buy the lace rose template. It’s still there, at #7 of the material list, Kathy. Number 7 does not appear on the list and I also can not find the template! Please revise the link. 🙁 so excited to use this. It’s still there, dear. Pls scroll down to the bottom of the post. The template is still at #7 of the material list. I sent the template to your email, pls check. Tks. I thought the template is FREE. So why the watermark on it? It’s free for you to use and make your craft, I don’t sell this, but it’s still my own design, my copyright, and I earn my living from the ads running on my blog. If there’s no watermark, people will steal my design. Any suggestions about putting the last piece into the model ?? Hi Don, I usually glue the most difficult part first, and the easier part later, so I just use a toothpick to help for the last piece. Hope this help. I cannot find your templates for this 3D heart. All the templates are the little pink link at the end of each post, Sydnea. If you can not find it, shoot me an email, I’ll send it to you.